Can you believe that it's December? I feel like 2018 really flew by and each year seems to go by faster and faster. 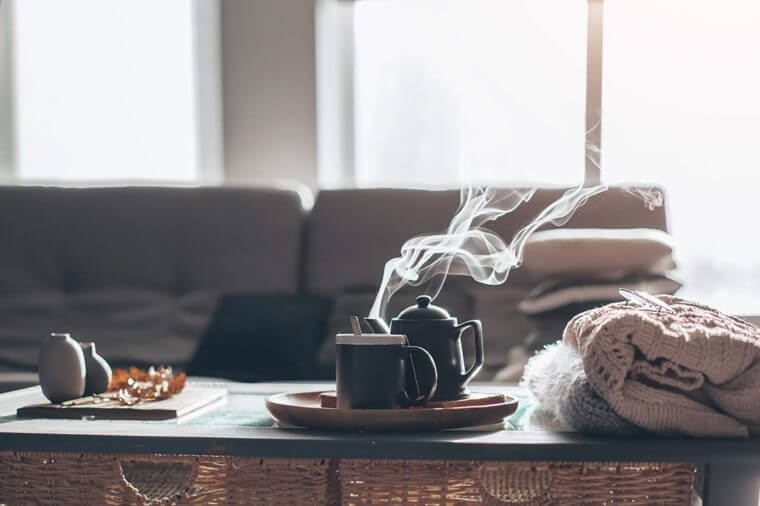 Now that the winter months are upon us, I wanted to share a few tips and tricks to make sure your home is ready for the cold. Check for leaks around windows, doors and the electric wall switch. Now would be a great time to upgrade your windows for an energy efficient option, but it’s not in the budget, consider using inexpensive window plastic. For doors, I recommend having a contractor conduct a blow test. If leaks are found, use a door stopper that can be screwed in or glued to the bottom of the door to better seal it. Purchase and install foam gaskets for the electric wall switch plates. Make sure you close the damper on your fireplace when not in use, not only will this help keep the home warm, but it’ll also keep critters from flying or crawling around inside your chimney. Check your heating and air conditioning systems. It's more cost effective to maintain your system than it is to repair. Make sure any professional service you have come out includes cleaning, checking, and lubricating the system. Replace your heater's air filter monthly so the system will work more efficiently. Ensure that the thermostat and pilot lights work properly, and check ducts for leaks. I recommend putting a calendar reminder on your phone so you don’t forget each month. You might also consider updating your heating system to a modern one with an efficiency rating over 97%. If your thermostat allows you to program settings, set it for warmer temps during the times you’re awake at the house and turning it down when you’re away or asleep. Switch you ceiling fan to push the air upward toward the ceiling. The heat is circulated without giving off a cool breeze. Take the time to check the insulation in your attic. In an older home, this is the most efficient way to reduce home heating costs. Make sure your home is insulated at all levels-floor, wall, and ceiling. Schedule a final day of yardwork for the season. Trim and remove trees and dead branches to prevent weather-related winter accidents. Clean out your gutters from the leaves that fell during the fall and clean the chimney before using for safety. What are some things you do every winter to get your home ready for the cold?